Having started my blog in January 2015, my entries have served as a chronicle of my thoughts, hopes and aspirations for Syriza’s government. 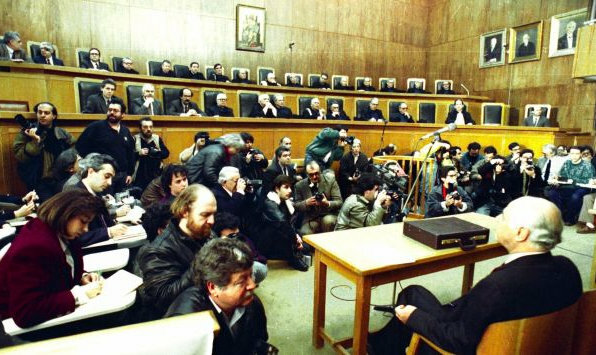 What had been billed as the ‘first’ left government of Greece (I guess if one does not accept Andrea’s 1981 PASOK as a left win) had a turbulent start and a bad end, for the country, if not for this troupe of horrors. At the beginning of January, with the election approaching in Greece, it seemed like Syriza could offer the chance to start a rethink of the neoliberal settlement that has dominated European politics for decades. The 2008 crisis had within it the seeds of a challenge to the dominant neoliberal paradigm, alas the challenge was never realised. This period also brought hope that politics could once again retake the ground ceded to technocrats. I had identified in my work a long time ago the danger the retreat of politics in favour of technocracy posed to democracy. An election of a government with an overt political agenda could help (I hoped) to recalibrate the role of politics in economic management; to put the people back in control of fundamental choices as to how their lives are run. I also commented on how salvation from economic crisis in Europe was beginning to look ominously like the creation of a new type of ‘fiscal’ authoritarianism, a ‘dictatorship of finance’. Syriza again was identified as the vehicle to a potential solution, linking popular demands with economic management and reviving democracy in Europe. I was delighted with Syriza’s win in January and supported Varoufakis in his European tour, where he explained why the existing programme was not working for Greece. My hope was that Europe was ready to make a change. That our partners had realised (perhaps with the exception of the Germans) that non-stop austerity is self-defeating. Perhaps they were waiting for a little push to change their minds, and Varoufakis was offering them this opportunity, for the benefit of all. I was not oblivious to the risks of re-negotiating the bailout deals however. Already at the beginning of February I cautioned Varoufakis and Draghi not to upset Greece’s difficult liquidity environment. Suicide was preventable, a compromise solution was achievable. My faith in Syriza’s ability to guide the country through this impasse, and achieve a better deal with our creditors than Samaras, Venizelos and everyone prior was shaken by the events following the 20 February agreement. The February agreement seemed like a sensible compromise. It was evident that there was no support for Syriza from anyone, especially the Germans. Too much political capital has been invested in Europe supporting austerity to allow for a change of course. This is regrettable, but nonetheless true. Syriza could have a deal, which was in some aspects better than what was achieved before, but Greece would not be given a ‘good’ deal. The February deal was a step in the right direction in what would clearly be a long road. What shook me was Varoufakis response. When asked to present a series of technical measures, he submitted a list of odd and in places nonsensical proposals (see here). Was this done due to incompetence or calculation? Either way, it was not good. Varoufakis has claimed in Mason’s grotesque excuse for a documentary (#ThisIsACoup) that he was betrayed by the Eurogroup after February. He seems not to understand what was going on, or his role in things. It all went downhill from there. The negotiations dragged on, the economy stagnated, progress (whatever progress one had seen) was lost. The rhetoric hardened and Tsipras lost his window of opportunity to achieve something better. Faced with double-speak, lack of trust and gimmicks, the Europeans who were not positively inclined to Syriza anyway, and could not politically afford a change of tack, lost interest and started demanding that Greece gets its act together and completes the evaluation of the current programme review in order to receive any money. 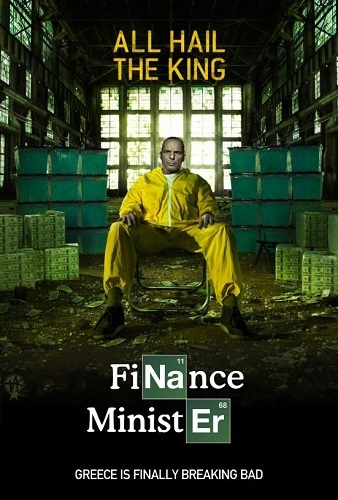 Varoufakis committed a criminal error in not achieving the disbursement of the bailout tranche after 20 February, leading to a credit crunch that drove us to IMF default in the summer and an internal moratorium on state payments to private parties. It was obvious from the 19 March leader’s meeting that things had gone off the rails (see here). On 21 April I published my ‘Basta Yani’ piece that asked Syriza to make a deal now. I argued that Syriza was not elected with a mandate to take the country out of the Euro. If a deal that Syriza could live with could not be achieved, then they had a responsibility to resign after signing it and hold an election. This election should be fought on Euro-In/Euro-Out lines so the Greek people got the make the horrible choice that befell them: Capitulate to the demands of the creditors with the hope of a long drawn recovery, or risk return to the drachma in the hope for long drawn recovery. I strongly rejected the idea of a referendum with the rationale that such complex questions need to be the subject of an electoral platform, not an in-out single question on a single ballot (see here). Alas, a referendum did take place in the summer, but on totally bogus grounds. By mid-May I had totally lost my faith in Syriza. The lack of a clear position, the inability to demonstrate achievable goals for the negotiation, the disorganisation and disinterest in the state of the economy, the lefty fascism of members like Zoi Kostantopoulou, and finally the parading of the holy bones in hospitals proved too much for me. The Greeks had not signed up for Grexit and its consequences when they voted on 25 January. Greeks did get their chance to vote for Grexit, and did so with gusto in the summer in the Greferendum. In this exercise in political fraud Tsipras managed to both kill whatever was left of the economy and to split the country along a new pro/anti Europe divide. Tsipras by announcing the referendum caused the bank-run that was already in process to become a stampede. This necessitated capital controls, not the evil Europeans or the ECB. It is needless to detail the damage to the economy since January, due to the almost total disinterest of the government in things ‘market’ while it was valiantly negotiating with our ‘enemies’. Capital controls helped kill any remaining economic activity. The effect has been a return of the recession, out of which Greece had nominally moved at the end of 2014. To add insult to the injury of the Greferendum, Tsipras, the ultimate political opportunist, called an election in September to rid the party of the ‘Grexit rebels’ of Lafazanes. ‘Party before Country’ as usual for (ex)communists. Mr Tsipras faced with the disintegration of Syriza after the signing of the third Greek Bailout decided to cause an election by resigning and by refusing to join a different coalition with his remaining Syriza MPs. An election that would have clearly decided the European (or not) trajectory of the country (as mentioned earlier) would have been useful, The September election however was a lost opportunity, as no coalitions emerged in clear support of either position. The new Laiki Enotita ( you have to admire the people who name a party ‘unity’ after splitting from someplace else), KKE and Golden Dawn supported the Drachma, but are nowhere near a united front as you can imagine. This election, as predicted, solved nothing. It renewed the mandate of a band of incompetent populists to talk and talk while the country sinks. Yet again, this is the grandeur of democracy: The people are free to choose their executioner. I pity those who voted for Greece in Europe as a partner, not as a beggar and cheat. What do we face at the end of the year? We see what happens to a democracy when the country has no functioning government and faces no opposition. After Syriza-lite (sans rebels) won the September election, a strange (albeit predictable) thing happened. All and any opposition to the government dissipated. How is this so, you may ask. Hasn’t Syriza denounced its leftist pretensions, betrayed its programme in favour of a new Bailout? Yes it did, but no one says a word about it. The right (ND and -apologies- PASOK and Potami) with the policy of Euro uber alles cannot complain about attempts to implement the Bailout terms. ND tries some complaining about choices in the consolidation measures, but lacking leadership (especially after the botched internal election) it is becoming irrelevant. The left? Surely if Tsipras moved to the right a gap must have opened on the left? No it didn’t. KKE remains in Stalinist obscurity and the Syriza splinter faction has all but died, as the Greek people are a nation of have-your-pie-and-eat-it that wouldn’t countenance the Grexit they were advocating. As to movements and unions, they have been co-opted by a government that feels no shame encouraging people to join general strikes against it, with the argument that it strengthens its position against the hated creditors with which it is eternally ‘negotiating’. The result is a farcical unopposed governance of stupid stunts (eg. Tsipras tweets) and utter incompetence in every single area of activity. One watches with morbid fascination daily lashings of daliesque surrealism, as if the whole administration were an experimental comedy show worthy of Noel Fielding. Greece ends 2015 with an incompetent, shambolic ‘party of the people’ that governs only to the extent that it serves its ‘supporters’. It moves from one shameful muddle to another (the sinking of Syriza’s Parallel Programme last week yet another example), and picks fights that serve the Machiavellian machinations of the couch revolutionaries that staff Syriza offices, like asking the IMF to exit the Bailout. 2015 for me represents the death of hope in Greece, in politics, in the Left. I dared hope that Tsipras would bring something new, yet my hope was raped and left for dead by the charming, yet deadly dangerous Professor Varoufakis. I despair. Yesterday I had the pleasure of attending the Europe is Kaput event at the Royal Festival Hall in London. Srecko Horvat chaired a discussion with Yanis Varoufakis, Slavoj Žižek and (surprise guest, via video-link of course) Julian Assange. 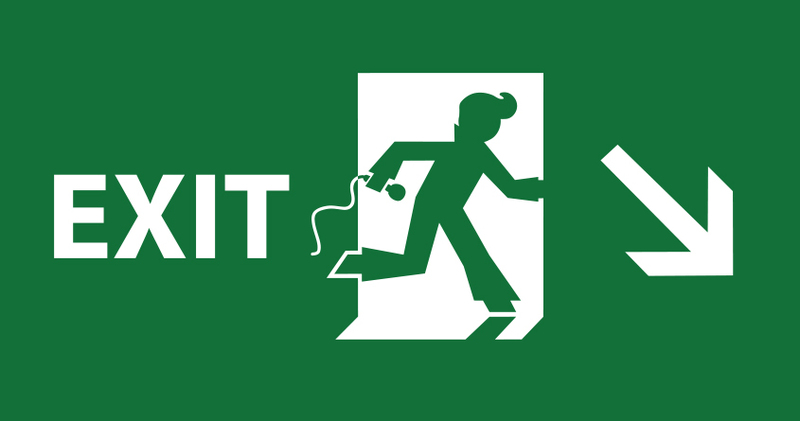 Search on twitter for #europeiskaput for pictures and tweets from the event (despite the lack of mobile/Wi-Fi signal, we managed). The one point from the discussion I would like to draw out specifically is the position of the left vis-a-vis the Brexit referendum. Yanis, being (surprisingly) pro-European would like to see Britain as part of the EU. Yanis believes that Europe can and has to reform and that Britain should be within and not without this process. I totally agree with him, but I still have a problem. My problem is that Yanis’ presentation is entirely prospective, about how the EU could become once again an institution that serves its people, more democratic, transparent, responsive. As to what Europe represents now, there is little positive to say. We will have to fight the Referendum campaign before the EU has had the chance to reform (on Yanis, or Cameron’s terms). We are still looking for a positive message as to what the EU is about now that we can put forward to the public. There is little of that in sight still. Slavoj is not pro-European Union so he would not help us with the above problem. He likened pro-Europeans (in the sense of the EU in its current capitalist incarnation) with Communist apologists who were arguing that the USSR was fine overall, just had a democratic deficit. In his view the EU is not fine overall, it has problems wider than the democratic deficit. I am guessing he would see Brexit more positively than Yani. Srecko who I talked to over a cigarette break (his, not mine) seems in favour of Britain in the EU, but also seems to think that Corbyn has better chances than I calculate. He did not think that the left will vote for Brexit. I hope he is right. Finally, I have to note that Yanis, Srecko and a number of people went to eat dinner at the cafe across the hall (nothing fancy). Yanis was very nice when we went to talk to him despite a little provocation on my part (I accused him of calling me “internal-Troika” once). I wish most well known professors were as approachable. I am hoping Yanis, and his cross-European movement (in development) will help us convince the left here to support Britain in the EU. 13 August 2015 — The ‘real’ Left is here !!! ¡Hasta la Victoria Siempre!, Vive la révolution and Allahu Akbar to everyone. I greet you with the magnificent news that Comrade Lafazanis is to launch a new ‘anti-memorandum’ party. I have been waiting for these news for a while now. After the original Anti-MOU party, New Democracy became government and started implementing austerity, after the de-rigueur Anti-MOU party Syriza became government and brought us ‘Bailout 3: The Return’, the country was gagging for a novel party to take the mantle of the anti-memorandum fight. Lafazanis proclaims to be the genuine expression of the glorious OXI vote of the Greferendum. 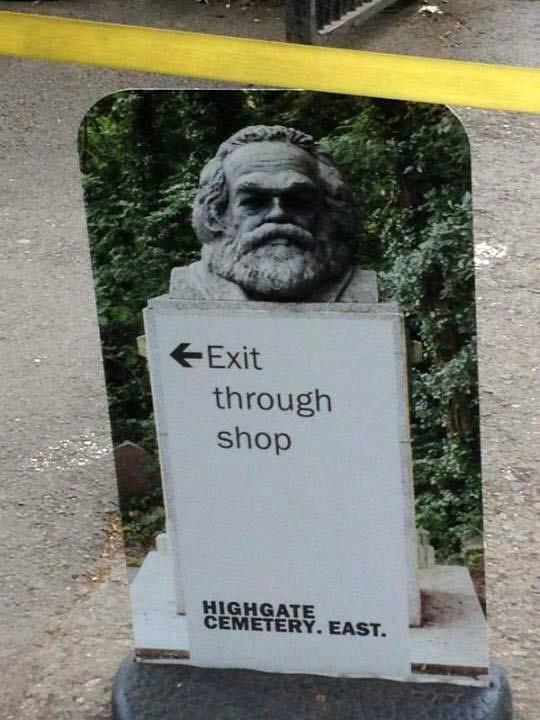 He is to lead the ‘I want to have my cake and eat it’ camp of the glorious, revolutionary left in Greece. He surely will have at the forefront Kostantopoulou, Lapavitsas and I am guessing Yanis Varoufakis, unless this grouping is a little too low brow and old style ‘workers in caps’ stuff for Yani. I do hope that this split in Syriza and the upcoming election will allow political parties to stop the BS and come clean in front of the Greek people. Is there a party that can ‘negotiate’ better? No! We tried this with ND, tried it with Syriza and we are where we are, with a new Bailout. The only point of new political formations (pretending to be the ‘real’ left, the banana-republic heart of Syriza) is to argue for a return to the Drachma. 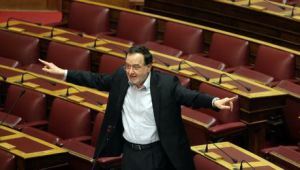 Lafazanis needs the courage to campaign for the Drachma. Kostantopoulou with her Adolphian rhetorical skills needs the courage to campaign for the Drachma. Lapavitsas needs to stop bifurcating and explain what a return to the Drachma means.Yanis…. I don’t know what Yanis is trying to do. The others, ND, PASOK (whoever is left), Potami need to join forces (as Hugo Dixon keeps arguing in fact) and run on a Euro platform. Is this pro-austerity? Is this pro-subjugation? It is life vs BS, this is what it is. Life under the Drachma will be unimaginably worse. Life under the Drachma run by the couch-revolutionaries of the likes of Lafazanis will make North Korea seem efficient. No more BS, we need an election so the people can take ownership of this mess and admit to the problem (even without seeing a solution). Election as Catharsis. Being an academic can be such a lonely job. Everyone is specialising in something so obscure, no one else around them knows anything about it (or cares about it enough) to talk to. The students mostly are interested in getting through it and finding a job afterwards (the good ones) or are great at partying (the bad ones). One outlet is social media, but then again, most of the time no-one even notices the ‘clever things’ that are said. Imagine if suddenly you became famous! Imagine if every tweet got 5000 retweets and favs. If every blog post attracted dozens of comments, got circulated thousands of times and became the talk of the media worldwide. Imagine if the phone kept ringing with requests to speak to the Washington Post, the London Times, the Economist. Imagine that every time you came out the door, you were surrounded by photo-journalists, and in every public appearance you were mobbed by adoring crowds. Just imagine! Oh, fame can be such a burden… say the famous. Same as money, a burden, for the very wealthy. Once you find yourself in this situation, you might get carried away a bit. The skill of speaking with confidence when teaching (even when not completely in command of the topic) can come in handy in interviews. Yet, the fame, the need to appear confident, the need to seem that you know what you are doing can feed a monster. The monster is arrogance, the danger is mistakes, the result is hybris. Is it better to have been famous and forgotten, or to never have been famous at all? 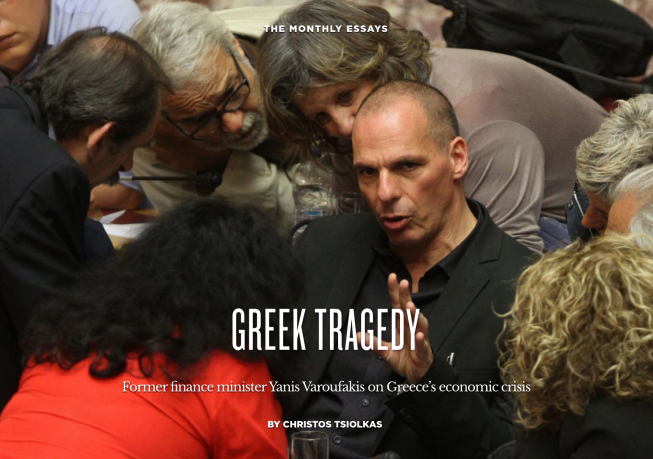 28 July 2015 — Should we all kick Varoufakis while he is down? Today has been a bad day for Yanis Varoufakis. After the revelation of contingency planning for a parallel currency or IOUs or a Drachma precursor, almost the entirety of international and Greek media have homed in on Yanis. Is this correct and should we pursue Yani now to eliminate him politically or even indict him? There have been some private suits against him already alleging criminal offences. It should be clear to everyone reading my blog that I am hugely disappointed in Varoufakis and I did state at the time of the Greferendum that we will probably live to see the leadership of the current government brought before a special court at some point in the future, if events led to chaotic Grexit. Nonetheless, this smells a bit like a witch-hunt and I will tell you why. The opposition has been on Varoufakis case for a while now, and it has been hugely helped by Yanis (and his team’s) habit of branding all dissenters as ‘Internal Troika’. For all the protestations of seeking dialogue, Yanis has done a fair bit of insulting people, rather than engaging with them. Anyway, Syriza members (there have been many today, including ministerial colleagues) turning on Varoufakis too smells of opportunism. How convenient would it be to marginalise Varoufaki and accuse him of everything, absolving Syriza in general and Tsipras in particular. Even though I do not want to see Varoufaki emerge as a leader of some new anti-austerity coalition, I do not want to see Tsipra emerge as the ‘virgin’ in this sordid affair either. It was Tsipras who went to announce the criminal Greferendum and he is ultimately responsible both for the failed ‘negotiations’ and the chaos that followed the end of the programme and the imposition of capital controls. If we agree that Varoufakis should not (politically) survive this, we should concede that neither should Tsipras. Also, special courts and criminal accusations never end well, for anyone. There might be things of a criminal nature Varoufakis is responsible for, predominately due to ignorance and arrogance, but his faults are political and ought to be judged as such. Anyone old enough to remember the 1989 indictment of Andreas Papandreou to the Special Court should get what I mean. The country did not come out of the ‘Catharsis’ judicial experiment feeling cleaner. Let us not be distracted from the serious problems of our economy and country by engaging in another round of ‘court drama’. This blog has become a focal point for criticism of Yanis Varoufakis, ever since things started to take a turn for the strange in March (see here for relevant post). I have followed closely the actions and statements of Yani since the January election (and read his work), frequently posting comments on his blog. I have to say here that I greatly appreciate the fact that Yani’s blog posts critical comments and allows a free(ish) discussion. Sending Yani open letters does not work. If he hadn’t ignored mine (https://iglinavos.wordpress.com/2015/04/21/basta-yani-the-good-fight-has-been-fought-but-it-is-time-to-stop/ ) things would have turned out better for everyone. Now, I never much believed various conspiracy theories presenting Varoufakis as a dangerous lunatic surrounded by fanatics. Nonetheless, comments such as the above are forcing me to reconsider. What do Varoufakis and Yannopoulos think they are dealing with? While the rest of us are trying to think about the future of the country and the survival of the Greek population, Syriza members such as the above seem to be engaged in some sort of exercise in nationalism and ideological blindness. I have been there Mr Yannopoulos. When I was a young student (in Essex Uni of all places) I used to go to Socialist Worker meetings. I stopped going when it became obvious to me that the creation of a ‘just’ society required the obliteration of the existing society. It seems that Syriza has not escaped the teachings of KNE (Greek communist youth) that society can only be reformed by razing it to the ground. Yanis Varoufakis will not be the Greek Pol Pot. Whether the latest reports of fantastical plans to secretly prepare for the drachma are true or not (see the summary by Dixon here), we now know enough to stay clear of Prof. Varoufakis and his comrades in the future.